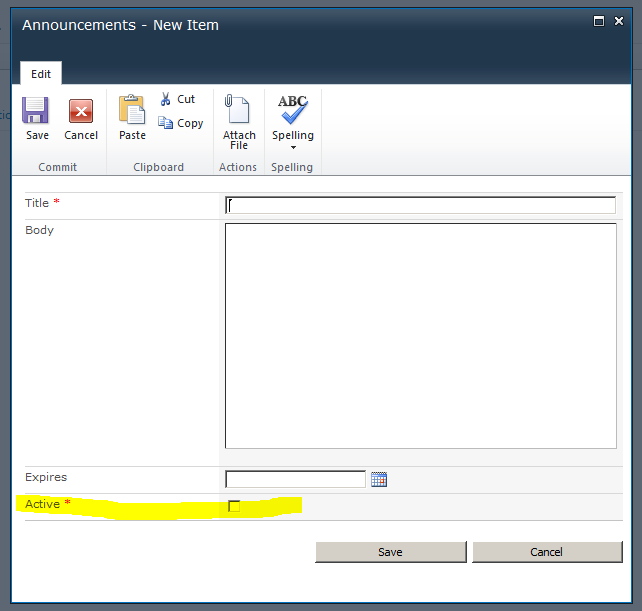 Announcements list, that exists OOB when creating for example a Team Site, you may need to make users see different columns when clicking create new item.. 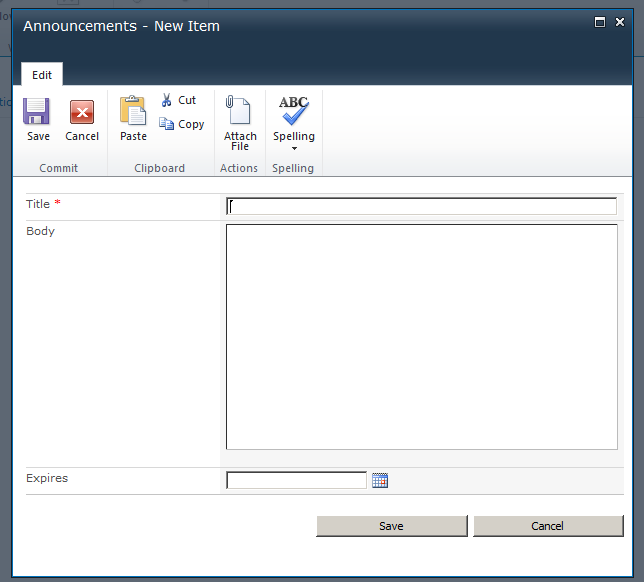 Yes you create another list and add the columns you want, but sometimes you just need to add 1 or 2 columns in Announcements list. You will see all Site Content Types, under “List Content Types” click Announcement, you can do the same with other content type. 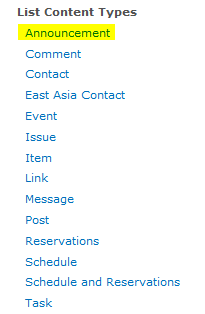 Choose a column, I chose “Active”, you may develop a web part or event add a CQWP that displays Announcements and you want to filter by Active or not. 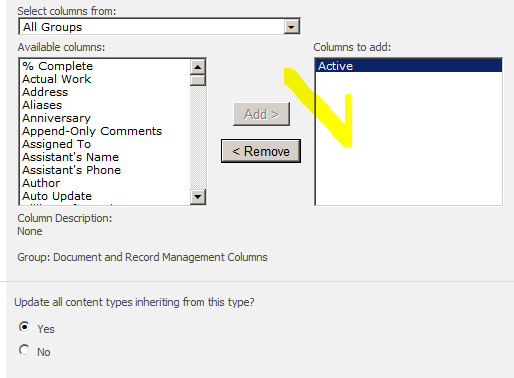 Click ok, you will return to the columns, you will see “Active” column is added. 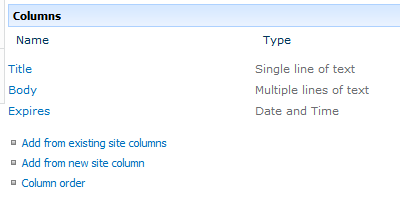 Now if you click, Add new item, you will see your new column..
That was easy and straight .. you may need to do this with more complex cases like developed a field and want to add it to existing content types to be all over your site. I will try soon to make a post on how to develop a field and add it in the same way we just did.